We understand that when it comes to furniture, resilience and robustness are every bit as important as style, regardless of your circumstances. 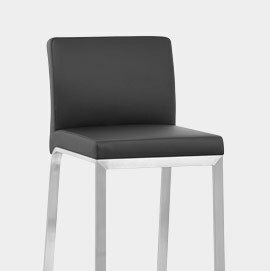 Characterised by exceptional standards of support, our strong, sturdy bar stools are crafted from hardwearing materials with an emphasis on durability and endurance. Choosing our products with strength in mind means they’re ideal for a whole host of environments, where long-lasting furniture is of paramount importance. There are a number of reasons why you may be seeking a particularly stable set of stools, but there’s no doubt you’re after a good quality product that will prove a dependable choice whatever they’re used for. Perhaps you’re looking to furnish a commercial environment where resilient, reliable furniture is essential. 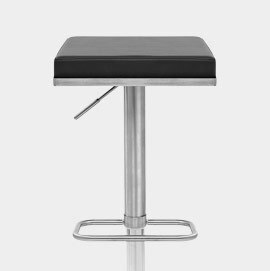 In a busy bustling bar, stools are more susceptible to wear and tear compared with domestic use. Whilst at home you purposefully handle your furnishings with care, customers don’t concern themselves in treating bar seating delicately and won’t think twice about keeping them in pristine condition. Prone to rough handling, spillages and stains, they are also more likely to tip over if knocked by rowdy customers. 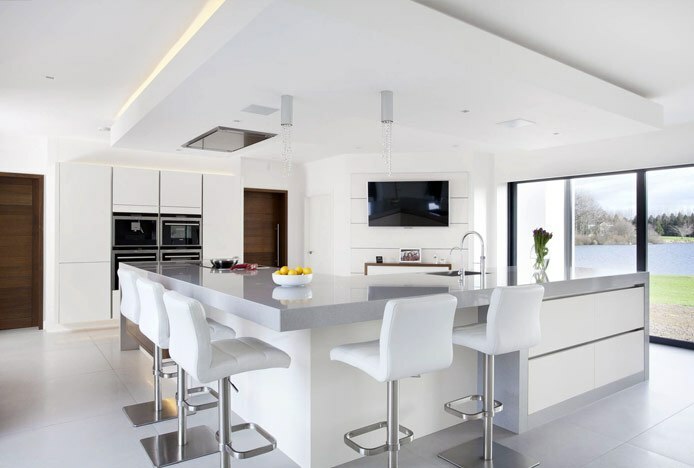 Though a very different sort of setting and usage, it can be just as important to have robust models in your home. Whether boisterous kids, lively pets, or simply heavy use from frequent guests, choosing a sturdy product will undoubtedly pay off. With a substantially longer life, you won’t have to fork out for replacements. A flat base is a consistently good indicator of quality and stability. Made from a thicker grade of flat plated steel, it’s then covered in a sleek finish and completed by 3 solid bolts to attach the central column. Sometimes twice as heavy as domed bases, flat designs produce a lower centre of gravity for weighty, immovable effectiveness. A bulkier base helps to ground the stool, and the squarer and weightier it is, the less likely it is to tip over if knocked. However whilst providing a sturdy framework and firm foundation, they are invariably heavier and harder to transport than our standard models, which is worth bearing in mind if you like to move your stools around frequently. A prime example is the Cadiz, a quintessential strong model within our range. Its flat weighted base and padded faux leather seat make it a quality choice that exudes durability. With a beautifully hand-worked brushed steel finish, it flourishes in terms of style and substance alike. 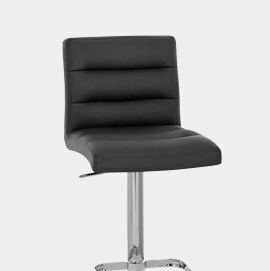 If adjustable height is not of primary importance, you might like to consider a fixed height stool for added rigidity. With a variety of stylish designs on offer, you can choose from single column, four-legged, cantilever or z-shape, all of which can handle varying duress with remarkable ease. When it comes to fixed models, if durability takes priority we recommend you opt for a welded metal frame. Created by applying heat to the joints on the surface and melting the components together to efficiently reinforce the structure, welded metal gives a chic and seamless look that’s extremely tough. Symmetrical four legged designs deliver unrivalled stability due to their wider base, as the weight is evenly distributed. Whilst many are crafted from welded metal, wooden designs are proving increasingly popular by those who seek a more traditional finish. If you’re looking for a rustic warmth, solid oak is a strong, robust and durable material that’s as resilient as it is appealing. For strength as well as style, dependable models such as Oslo deliver that classic county farmhouse look. Furthermore, many of our fixed height products boast 360 degree swivel capabilities, meaning you don’t have lose out on mobility by choosing a fixed frame. Cantilever and z-shaped frames are similarly appealing and no less stable; their chic welded metal structures a signature of their strength. Both create a sense of asymmetry and edginess, enhanced by the subtle command of physics that governs the frame. The Zizi is a great example of this, its eye-catching z-shape promoting a minimalist look whilst retaining its trademark sturdiness. Armrests are a further feature to consider for additional stability when seated. Whilst stools with arms occupy more space than those without, they compensate for this in terms of comfort and are well worth a look when seeking extra security and support. If you’re concerned about the welfare of children, choose a model with a substantial back and armrests that encompass the body, such as the Polaris. With something to grip on to it will prevent kids from slipping off or leaning back too far, giving you ultimate peace of mind. What Sets Our Stools Apart From the Rest? At Atlantic Shopping, we design, buy and import the majority of our stools ourselves. Thanks to our wholesale buying power, we are able to keep our prices low, providing you with unique, quality products at unbeatable prices. While competitors may attempt to make poor copies of our exclusive designs, they are low quality and poorly made, bearing little resemblance to our original designs. As well as supplying the home market, we also supply the cosmetics market, entertainment industry, exhibition companies, bars, clubs, and restaurants with specialised stools from our range. To meet the individual needs of all our customers, we have improved the strength of our stools by demanding that our manufacturers increase the gauge of steel from the British standard 1.2 gauge steel to 1.4-1.5 microns. This makes the stool stronger and heavier. What’s more, on our more exclusive lines, the base joint features a continuous weld (shown in the image below), which improves the strength of the stool even further. 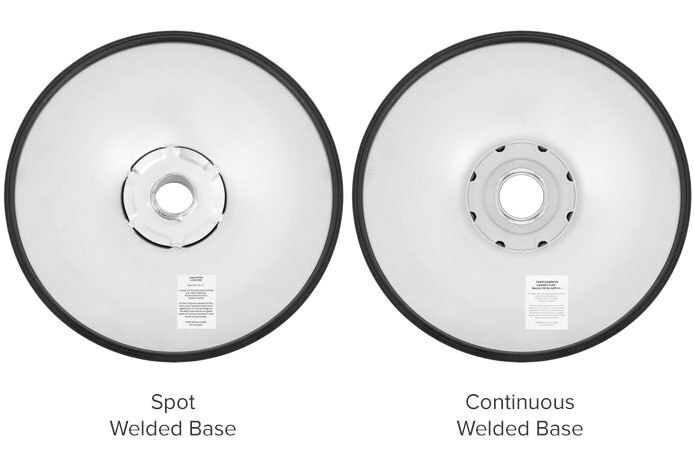 The image below demonstrates the difference between a spot weld, featured on our standard ranges, and a continuous weld. Rest assured, however, that whether you go for for something cheap and cheerful or a lavish statement piece, you’re in safe hands. Strength is also crucial when purchasing stools for slightly heavier users. To ensure the frame is able to withstand a larger weight, we’d recommend a flat base rather than a domed design, as mentioned above. Or even better, a fixed height model with a welded metal frame will provide premium stability. With a lack of moving parts, durable models like the Leah have box section frames for matchless sturdiness. Their strengthening bracing bars will reinforce and sustain their shape, keeping legs from splaying when put under pressure. Don’t forget, comfort is just as important as stability. Our stools span up to 60cm wide, ensuring you’re able to find a generous and accommodating seat that provides larger users with sufficient support. Choose a good quality seat with high-density foam padding that will hold its shape, and stools without arms like the Theo are also recommended, proving much less restrictive and limiting. Whether for personal use or a stylish addition to your business establishment, good quality furniture will fulfil its purpose and much more besides. So go on… try our range of bar stools today and we guarantee you’ll be impressed with what you find. Our stool bases are designed to help avoid damage to floors. 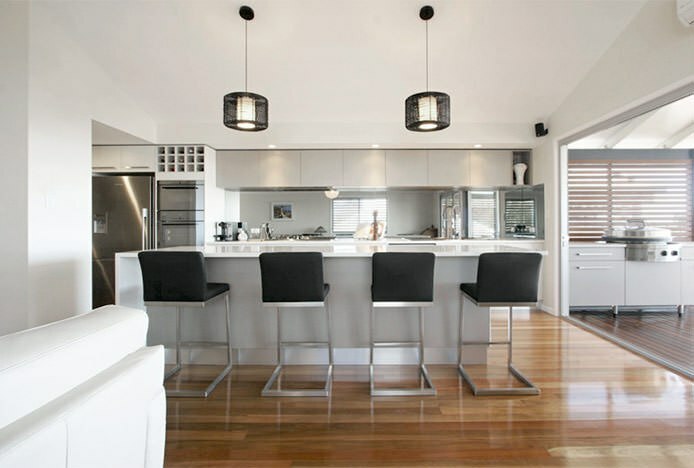 Find out how..
Find out more about how we make sure that our bar stools are safe for you..